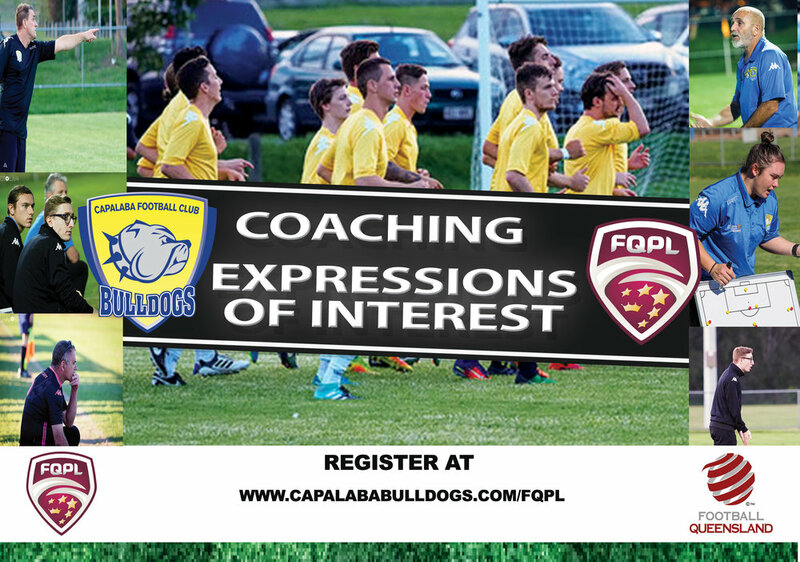 Capalaba FC is seeking expressions of interest for coaches for all age groups from our 13's through divisional, BYPL & FQPL. (If you would like to register for coaching NPLW please visit HERE. Capalaba Football Club prides itself on not only its development of youth football, but its development of coaches as well. We believe that we have built a great competitive and community culture and aspire to continue doing so to produce the best level of players and coaches possible. The club participates in the Football Queensland Premier League (FQPL) which is a state-wide league, and tier 3 football (after NPL and A-League). As we continue to grow and we have exciting plans in place to continue to develop the best quality footballers. To achieve this we require the best coaches in Brisbane. Capalaba Football Club has a proven record in identifying and developing some of the best coaches in the area. We, therefore, encourage applications from aspiring coaches, with varying levels of experience and qualifications. U13, U14, U15, U16 and U18 Assistant Coach – minimum of "Game Training Certificate"